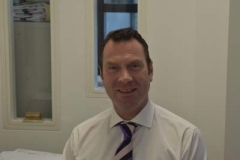 Haydn was educated at Down High School, Downpatrick and started his financial services career with the Prudential in 1986 servicing clients within a defined geographical area by providing advice on their savings, investment, retirement and general insurance needs. He left to join Bradstock Financial Services, a subsidiary of the Bradstock Group a UK PLC, for a further 10 years as an Independent Financial Advisor during which he expanded his knowledge by advising individual and corporate clients with a diverse range of needs. He was one of the founder shareholding directors in ASMFP when it commenced in 1999 after purchasing the assets of Bradstock Financial Services (NI) Ltd. He was appointed Managing Director of ASMFP in 2008. Haydn is an active member of Ballynahinch Rugby Club and was President in 2005/06 and he enjoys a round of golf when the weather permits. Brian was educated in Lurgan Technical College. 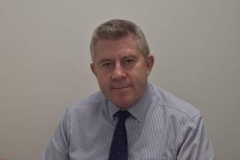 He started his career in financial services with Legal & General in 1972 as a Life and Pension administrator before becoming a Life and Pensions inspector in 1978 advising clients on their savings, investment and retirement needs and also dealing with a panel of professional introducers. 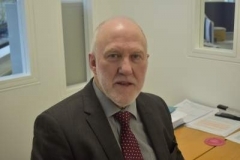 He left Legal & General to help establish Bradstock Financial Services in Northern Ireland in 1987 and developed the general insurance client bank to include pension, investment and taxation advice to both individual and corporate clients. He was one of the founder shareholding directors in ASMFP when it commenced in 1999 by purchasing the assets of Bradstock Financial Services in NI. Brian is an active member of Shankill Parish Church, Lurgan, and is honorary treasurer of the Shankill Parish Caring Association, a registered charity. His spare time is divided between his children, grandchildren and caravan on the North Coast. 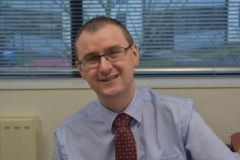 Keith was educated at Bangor Grammar School and started his financial services career with the Prudential in 1989 servicing clients within a defined geographical area by advising them on their savings, investment, retirement and general insurance needs. Before joining ASMFP he spent 6 years as an Independent Financial Advisor with Northern Bank Insurance Services based in the Belfast Business Centre advising individual and corporate clients on pension, investment and taxation needs. He joined ASMFP in 2002 to increase the scope and scale of the advisor team. Keith was invited to become a shareholding director in 2008. Keith is a keen Laser sailor at Ballyholme Yacht Club. She joined Price Waterhouse in 1986 and trained as a Personal Tax Advisor before joining Price Waterhouse Financial Services in 1992 were she provided pension, investment and taxation advice to individual and corporate clients. 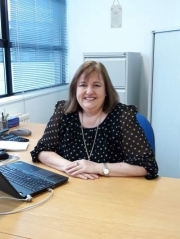 Following the merger with Coopers and Lybrand in 1998 part of Fiona's role in Price Waterhouse Cooper was to provide Employee Counselling services to employees being made redundant from their posts in the public and private sectors. Fiona joined ASMFP in 2010 to expand the advisory team. Fiona is an experienced cook and routinely entertains her friends and family. Initially Luke joined ASM Chartered Accountants in 2000 and transferred to ASMFP in 2001 to help the directors expand the financial planning business. Following the completion of his professional examinations Luke became a registered Financial Advisor and is assisting in the expansion of the firm by providing advisory services to existing and new clients. Luke is a keen footballer and an avid sports fan. Clem was educated at Down High School, Downpatrick where he was also Head Boy. 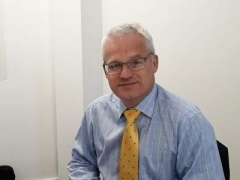 He commenced his Financial Services career with UK Provident in 1982 as a trainee Broker Consultant before taking control of a geographical panel of advisers, providing both product and technical solutions. Following the closure of UK Provident he worked as a Broker Consultant for Sun Alliance and then the constituent parts of the AVIVA network (CU,GA,CGU & Norwich Union). He varied his career path in 2002 when he joined Aon McMillen (now Aon Hewitt) as an Independent Financial Advisor, providing advice to local individuals and businesses and also a wide range of individual and corporate clients as referred to him from Aon’s London offices. Following the closure of the Aon Hewitt Belfast office in November 2014, he has joined the ASMFP team to share his experience and provide advice in the individual and corporate Financial Services market. Clem is an active member of Ballynahinch Rugby Club where he is a former 1st XV player and Ulster Branch referee. He continues to play rugby socially and coaches the recently formed Ballynahinch Ladies rugby team. William was educated at Down High School, Downpatrick and completed his degree in Accountancy at Heriot-Watt University, Edinburgh. William returned to Northern Ireland following the completion of his degree and joined ASMFP in 2013 initially in a trainee role. William has subsequently worked his way through various roles within the company expanding his knowledge of the industry while completing his professional exams. William has aspirations to become a registered Financial Advisor and is in the process of obtaining the relevant training and experiences. William is an active sportsperson and enjoys taking part in a variety of different sports such as Rugby, Rowing and Fell-Running. It's a well-known fact that diesels offer better fuel economy, meaning high-mileage motorists might still be better off with an oil burner. However, these frugal petrol models might change their mind. The Financial Ombudsman Service has told BlackStar Wealth Management to compensate five different clients for the unsuitable advice it gave them to transfer out of their pension schemes.